Sushi Ryusei is a new traditional Sushi restaurant located in Murray Hill. It features an Omakase Chef's Sushi Counter as well as traditional choices by former head chef Masato Oyama at Sushi of Gari Columbus and Sushi of Gari Tribeca. Our other skilled chefs are from sushi Nakazawa and Kura. This place is really a hidden gem. The sushi is on par with some of the more well known places (Yasuda, for example) without the fanfare. I will keep coming back for sure. Loved the food. Truly delicious. Service was excellent. Price is a bit on the high side. Will go back. Sushi Ryusei is a new absolute favorite! It is among the best restaurants we now know in NYC. If you enjoy the likes of Masa, Eleven Madison Park, Jungsik, Per Se and other greats, don’t miss out on Sushi Ryusei. Get in now, before their future Michelin Star makes it hard to get into! Excellent food, friendly service and beautiful atmosphere. Sublime. Seriously good.... even the ginger was better than in other sushi restaurants I have been too. Will be back every time I come to NYC. Good food. Pleasant atmosphere. Kind service. Overall nice experience. The absolutely delicious meal and sake was only outdone by the service, which was superb. Another great experience at Ryusei. Pretty much the finest sushi I have experienced in the US - far exceeding some of the other big name places in town. Very charming, attentive and sincere service from head chef Oyama-San and the wait staff. The omekase course included some quite exotic and hard to find selections not normally seen outside Japan. Magnificent ! Fish wasn't that fresh, therefore, way overpriced. Hidden Sushi gem. Top sushi place... fresh and as authentic as if I was back in Japan. Definitely a favorite and is even better than all overpriced 3 star places in NYC. Perfect balance of originality and authenticity. Great Omakase! I’m writing this before word gets out, while you can still get a reservation at this place. What are you waiting for? Seriously! This place is owned and operated by Masato Oyama, formerly of the “of Gari” sushi spots. He is immensely talented and started this place on his own. Look, I am one of the biggest foodie snobs out there and I’m telling you this is the real deal. Go try it now, you won’t be disappointed. Prices are very reasonable for what you get, and the quality of the fish and it’s preparation is top shelf. Two thumbs way up! We're torn -- part of us wants to keep this little gem of a restaurant in Murray Hill all to ourselves, lest all its tables be forever filled with other lovers of fine Japanese cuisine every time WE try to make a reservation. 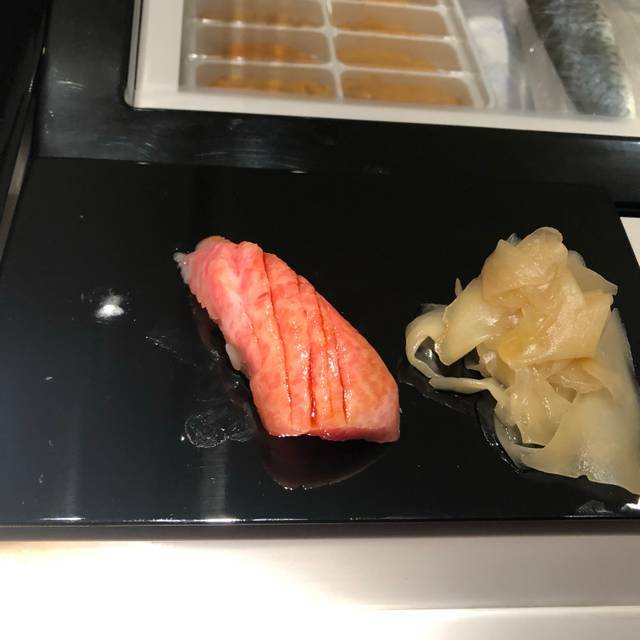 But word is bound to get out eventually about a spot this special, so why not give newcomer SUSHI RYUSEI some much-deserved praise? While the specialty sushi (e.g., from the omakase menu) dazzles, even the simplest of dishes are prepared with painstaking care and precision -- case in point, the "boiled spinach mixed with sesame sauce" that is not only the single best version of this classic offering we've ever tasted, but in its own stratosphere of umami-packed deliciousness. 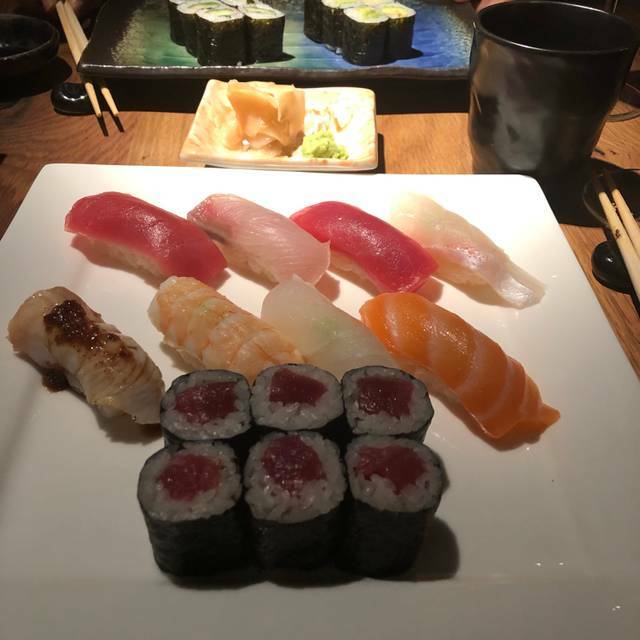 This is a perfect date-night spot, where adventurous sushi-lovers can order omakase side-by-side at the sushi bar while those wishing to enjoy a few appetizers before or after a movie or to luxuriate over an a la carte dinner can enjoy one of the softly-lit tables in the dining room. Such a great spot - the ambiance was calm and serene. I took my best friend here for his birthday and we had such a great time; they even brought out a little birthday candle with ice cream since I had made a reservation indicating that it was for a birthday. The food was delicious and the service was immaculate - will definitely be returning! Absolutely delightful. The fish was super fresh and the sushi exquisitely made. We love this restaurant. The staff are kind and attentive, it’s immaculately clean, the decor & tableware are lovely, and the fish is absolutely amazing. Food and its presentation were excellent. The place is small, rather cosy with dimmed light and wood reclaim counter. We took a table. Service was outstanding! I would highly recommend this restaurant to anyone, who wants to experience authentic Japanese dining. I felt sick after eating the cod appetizer. I think it was not fresh. The other items were good. Great experience! This is our second time (date night) and the food is excellent! I always start with a miso soup and edamame followed by 3 cut rolls! I’ve changed it up twice but so far, the eel and avocado roll, spicy tuna, and seared salmon are great! It’s also very convenient which is a plus and the wine is great quality! Great omakase and wonderful service! Awesome. I almost don’t want to write the review, as I don’t want it to get too crowded. Sushi Ryusei is one of the best sushi restaurants in the city. No doubt about it. The service is attentive and personable. Fantastic place for a date. Great atmosphere. Staff were really nice & kind. We received Japanese style warm service. There are the counter and tables. If you love to see sushi chef's cutting skill, you should definitely request counter seats. We know many sushi restaurants in Manhattan. Unfortunately some sushi restaurants are not authentic. But Sushi Ryusei will definitely satisfy you!! All sushi & sashimi were fresh. We highly recommended fatty tuna(ootoro). I bet you will have amazing experience. And don't forget to order desserts. 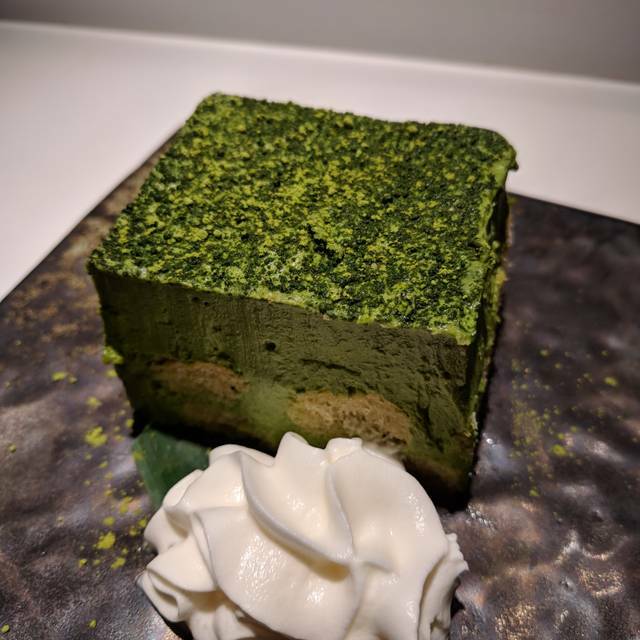 We got matcha tiramisu, matcha warabi mochi and citrus cheese cake. All cakes were perfect portion for dessert! We will be back there soon! Sushi Ryusei is wonderful. The quality of the food and the presentation were outstanding - every mouthful was delicious. Our omakase dinner was quite spectacular. I can't wait to come back. Outstanding dinner at Sushi Ryusei. Extremely authentic cuisine with very polished and friendly service. Good value for money, especially by NY standards. This is a place to go if you want a truly genuine Japanese experience - for those who like cream cheese in their rolls or fusion dishes this is not for you. I will return soon - a really great experience. Simply amazing sushi with very attentive service. Reminded us of night out in Tokyo! Very good Japanese restaurant located in Murray Hill area of Manhattan close to midtown. Excellent sushi/sashimi. Small, low key, tastefully decorated interior. Very good service and very fresh fish. Japanese menu only. No steak, burgers, etc.. No drinking bar. Only sushi bar. Sushi was smooth and buttery delicious. This is the best sushi spot in nyc. Our first meal here and definitely not our last. 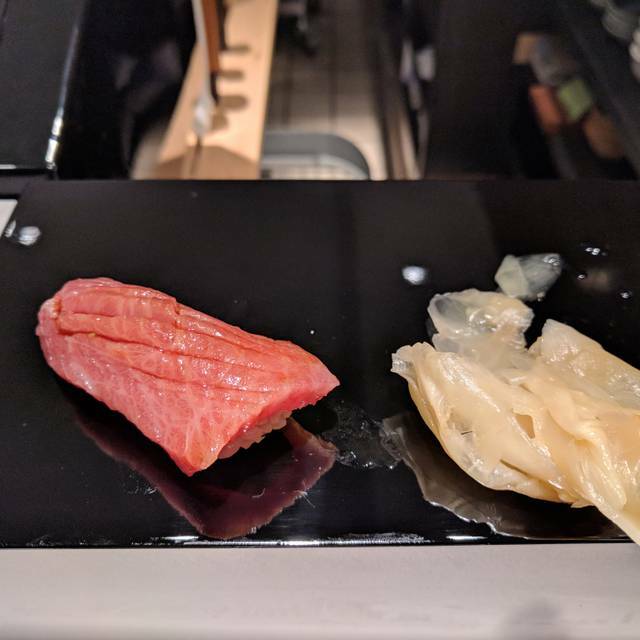 The Sushi/Sashimi combo Omakase meal was beautifully prepared and presented, and was incredibly decadent and delicious. It made me regret ever ordering sushi from local delivery places. This is how it's to be had. 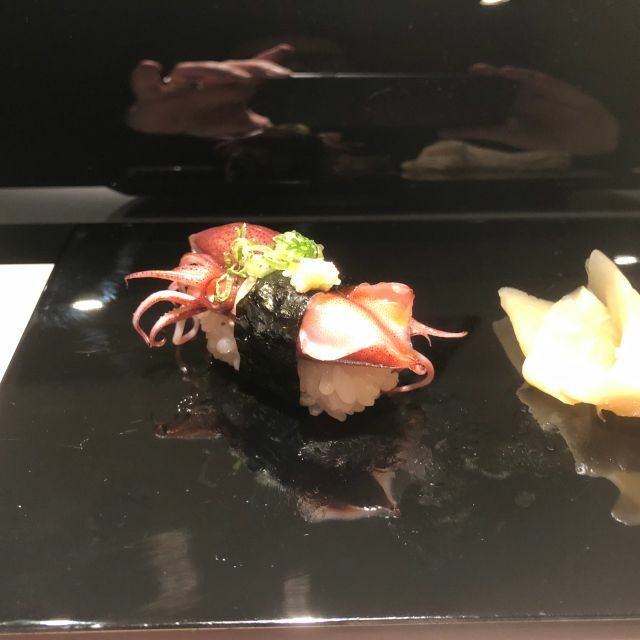 The Omakase was a great choice because its chefs choice, and he served dishes that I would never order off a menu (like cuttlefish roe) and it was my favorite thing to eat. 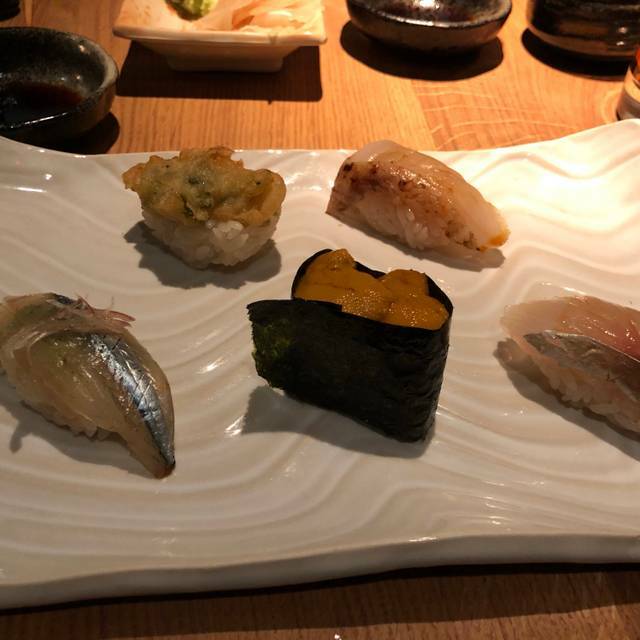 opened my eyes to the full palette of fine Japanese fish. Great food and ambiance! Very high quality sushi and great service. Quiet neighborhood spot. Can’t wait to go back!